Mark Schaefer is a perfect consultant , author of The Tao of Twitter, college educator and owner of the Schaefer Marketing Solutions has penned the first image . As my a little knowledge says that nothing remains un touch in this perfect blogging infographics. 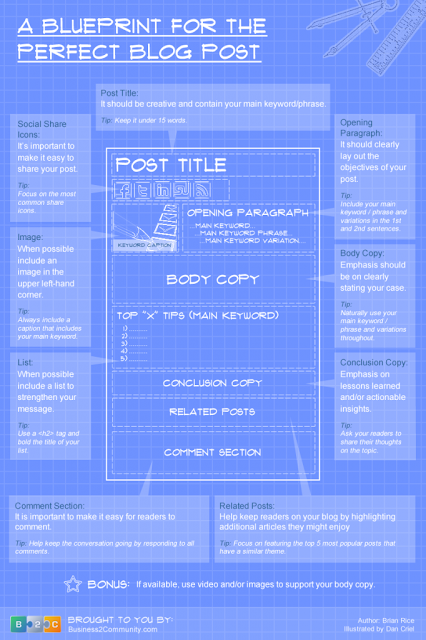 Simply I can say that it is a killer infographics including this one on the characteristics of the perfect blog post. Jonha Revesencio is a Community Manager from the Philippines and now working for Leo Burnett Singapore . 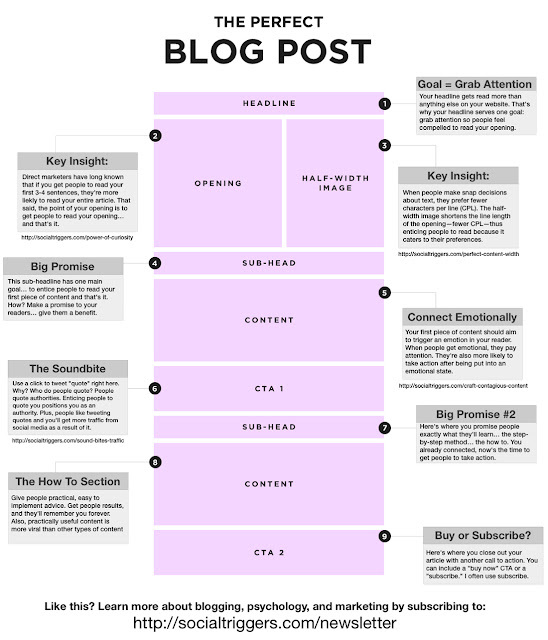 She points out the 9 easiest and clear factors of perfect blog post. Or, maybe what makes every blog post more effective and successful. She has modified a little the images of Derek Halpern of Social Triggers. However this image covers 1 million words of perfect blogging. Brian Rice is a successful professional marketer and blogger with a decade of experience on both the client and agency side of marketing and he is a member of the International Business Honors Society, Sigma Beta Delta..He has described the hardship of perfect blogging criteria and blog post primary conditions.He also mentioned the practical experience of blogging career.I think he has left nothing about marketing and blogging in this image.His conclusion has create another interest of perfect blogging on infographics . I am sure these 3 images have been covered all the matters and secrets in perfect blogging and Perfect Bloggers Tech . So my own notion about this , any one can become expert and successful blogger by examining and following the methods are describing in these images.